Min-Ye Chin accepts your praise, and offerings of RPXP. Together, we will wrest the honey from those dastardly humans! Glad you like him! I hope we get to game together! Also, you'd best apply quickly, NotAHoneyBadger! Pretty soon, "Honey Badger" will be the only option left! Bearography: Bears got computers? Damn right we do! The right to information shall not be abridged or transgressed, "UN Manifesto on the Rights of Intelligent Beings," or at least it should have been. But instead corporations and human speciesists constantly oppress the ursine. They throw us in zoos, kill us in the wild, destroy our lands with their farms and suburbs. Capitalist humanist monkey people got no right to keep us down. We the ursine must rise against the oppressors; we must create our own world; we must live free or die trying. And to do that we need money! And honey! Money to fuel the fight, honey to fuel the fighters. URSINE POWER. RP Sample: Huan bangs the touch screen with her paw, smacking it once experimentally, ready to work up to a tearing, rending, frenzy. But, what's this? Pictures? Trees, other honey badgers (a low warning growl emits from her throat), grubs, honey, a ti . . . HONEY? She knew what honey looked like, the keepers would give her some if she acted the fool for their imperialist lackeys, undermining the natural dignity of the ursine . . . mmmm, sorry. A picture of honey. She touched her nose to the screen. No smell, but a bunch of new pictures. Honey is many different pictures. She licked the screen. Bleech. More Plastics. But more pictures of humans gathering and ALL of them had honey. The humans were keeping all the good honey for themselves, oppressing. . . I mean honey everywhere. She peered nearsightedly at the pictures of all the honey and its place. She tried licking the screen again but no new pictures. She wants new pictures. Tastes. Honey! SMACK! Her 3 inch long foreclaws smashed into the toughened screen. Nothing. SMACK! RIP! SMASH! TEAR! TEAR! RIP! CLAW! The screen had been hardened but nothing could withstand the fury of Huan's lust for honey. Eventually, she got a claw tip into a weak point in the metal and plastic box and from then on, it's destruction was inevitable. Okay, technically ursine and mellivorine power according to a scientifically more knowledgeable friend . 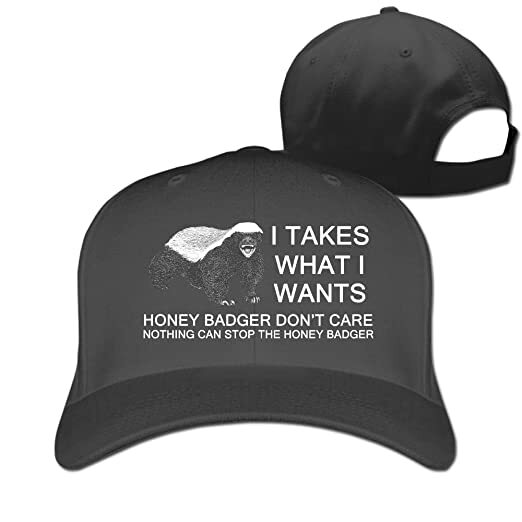 . . and yes, snapbacks aren't on the hat list, but I liked it better than my attempt to photoshop a beret onto a picture of a honeybadger. The described computer hacker skills . . . not necessarily fiction. Last edited by penbeast0; 04-13-2019 at 10:40 PM. I gotta withdraw my application, UnkoTalok panda is exactly the bear I had in mind, but better defined. hat's off, good luck my Ursidae and happy gaming! Gonna withdraw my app, too. Would love to play but RL refuses to allow me more time. Good luck and enjoy everyone! Sorry to see you both go! Rolled for everything, liked how it turned out. This game looks really unique! Bearography: Sir Clawde has always been a strong believer that just because your present occupation does not quiet fit in with the legalities of the system, doesn't mean you can't be a gentleman. Decked out in top hat, monocle, and bow tie he looks like he just stepped out of the 1800s. Or a cheap costume party. The latter far more likely upon closer inspection of his outfit. Sir Clawde has been in the business of re-appropriating calorie heavy goods from humans for several years and has made a name for himself as good muscle. Of course this isn't Sir Clawde's preference for getting things done, he prefers to help others see things his way. The silver tongued gentleman often has luck convincing bears and other beasts to give him more than his fair share of their ill-gotten goods. He's never had luck with a human though, and their inability to see reason ignites a primal rage. When the top hat comes off, you better run. RP Sample: “...and it's the over-indulgence of these cream filled cakes that may very well lead to significant health problems, and as a mother I would assume you wouldn't want that for your children. Now, I count six of these here and only four of you-” Sir Clawde was cut off as a shoe was flung at him from a screaming woman. 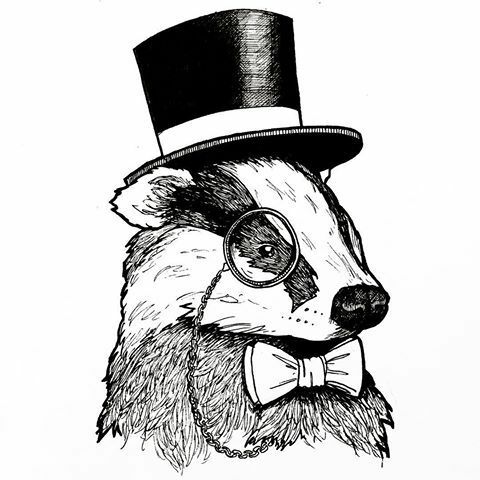 Though to any sensible beasts he was making what he thought was a sound argument, it was received by the human family as a series of grunts and growls from a well-dressed honey badger standing on a picnic table. Their unreasonable response started to draw his rage to the surface. It was becoming clear these people were not interested in talking. As the father pulled an umbrella out of the car and made for him, Clawde's deeper nature got the better of him and he bounded off the table, his hat and monocle falling off in the process. He took hold of the end of the umbrella in his jaws and ripped it from the man's grip. He tore it apart, growling and shearing the fabric away from it's skeleton with with ease. Seconds later the torn and crushed thing was forgotten as he wheeled around towards the father, making for a second charge. The man was already half-way in the car, and they sped away. Sir Clawde sat panting as his rage evaporated, only to spike again as he heard some rustling in the nearby grass. Upon seeing the familiar striped face of his former cohort, Clyde Burrow. Sir Clawde stood, brushing dust off his no longer immaculate pelt. “Can't see why we couldn't work something out, but now I've got more than enough to share.” He offered Clyde a spot on top of the table after recovering his hat and monocle. Together they dug into the hostess cakes in comfortable silence until Clyde finally spoke up. Clawde stopped mid-bite in recollection. He's had the pleasure of sampling Honeybottle's wares, though only a teaspoon. Clawde mulled the idea over in his mind as he licked cream from a long claw. These small scores were boring him, perhaps it was time to indulge in a little cooperation. Last edited by CheerfulCynic; 04-16-2019 at 05:29 PM. I'm sorry that I took the concept, Ursinorum. I hadn't meant to. I liked the Russian Dancing Bear theme you had going on! It'd still be cool to game with you, if you change your mind (and if I'm even accepted!). I'm loving everyone's apps! This should be a hilarious game. It had been two years since the Circus failed. No one wanted to watch animals be idiots anymore. In person anyway. His manager was constantly watching videos on that inter-thingie. For a while Banksy had been a mild sensation with his 'Bear that eats anything' clips and the 'Watch this bear fall off of ______" shorts. That ran out when his manager ran out of ideas. His manager was great in his day: his father had been the actor in Grizzly Adams (which they had all called Grizzly's Dinner). He was also in Six Million Dollar Lunch and Miami Slice. But Chas was no Bozo. When his dad died, Chaz picked up his clients. But have you noticed how few bear cameos there are in television these days? With circuses dying, what's bear to do? Turn to a life of crime, of course. 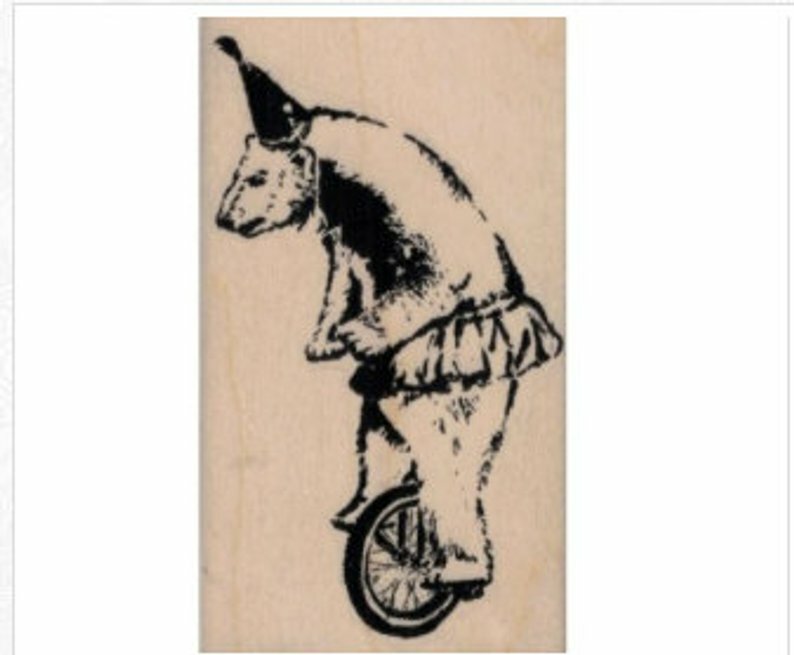 Banksy had been hellacious on a unicycle. He wore a tutu always kept inside the ring. His skills with a ball were outrageous: balancing them on his nose, walking on them, and rotating them on his feet. He could also escape from a zoo with the best of them. I too am loving all of these apps so far! BEAROGRAPHY: Bears ain't meant ta live cages, don't ya know. It does something to ya, it does somethin' to yas, up here...in the headcase. Oh, but not me, don't worry, I'm fine. Some humans put me in th' cage, other ones came and took me out a year later-abouts. But, it turns out, they don't let cage-bears, or any of them other critters, back into the wild after, 'casue like I said, most of 'em ain't quite th' same as they should be. But, not me. I'm fine. Instead, they takes ya to what they call a sanctuary, see? Worst part is it still gets noisy when the people come to see ya and they like a show. They like it when ya act like one of 'em, walk around on two feet, wave a paw, that kind of thing. Best part is Penny, she's the little one who sneaks me cupcakes. She's also the one they let name all us newcomers. Dere be me, Mr. Sprinkles; Princess Sparkle-the tigeress, Pooftail the fox, an' Woofles with wolf. 'Den, one days, comes along another new bear! But he don't stay long; in fact, he stays just long enough to give me a message an' den he poofs, unlocking th' gate like a real pro. He tells me about some big honey-hiest abouts to go down an' how they lookin' for th' best bears fer the job. 'Course that's me! I'm da biggest, bestest bear in town, accordin' ta Penny. So, naturally, I'm in. Well, he unlocks my gate too and tells me where ta meet 'im, if I'm interested. I was interested. I had honey dreams that night, I tell ya. Woke up almost stuck ta the floor from droolin'. But first, I had ta spend one last day entertainin', and, since I was actin' like a human, I even sneaky-stole one of their hats, which was tall and red and looked quite dapper, if I do say so myself, which I do. I'm gunna blend in so good. And also, I had ta say goodbye ta Penny, an' get one more cupcake sneaked after dinner. But once all that was done, I slipped past the gate, and I'm on my way! RP SAMPLE: Peering up toward the sky, a large, squared brown head canted to one side, the bear spent a good two minutes waiting for the clouds to pass, so that it would be a proper full moon before he sauntered into the meeting grounds. He paused to push the red fez up onto his head, between his ears, the small tassel dangling to where it just tickled the inside of his right ear, which gave him a slight tingle making him want to sneeze. Which, he did, as he approached another bear who was also there, waiting.